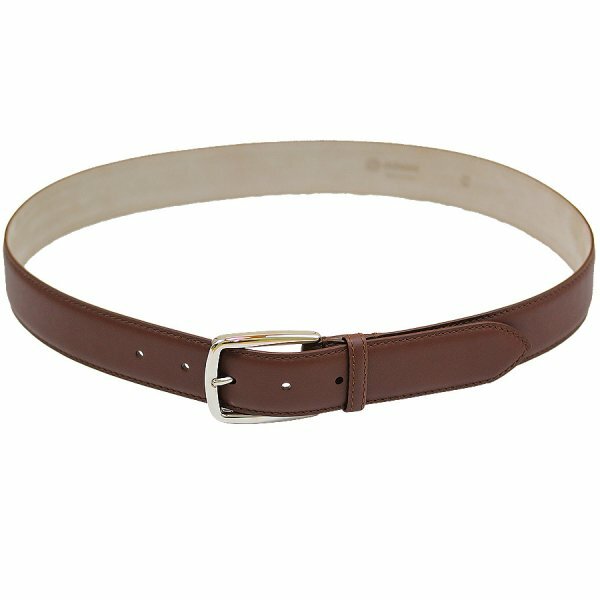 Product information "Boxcalf Leather Belt - Brown"
Brown belt made from wonderfully soft calf leather. An absolute classic every man should have in his wardrobe. A classic combination: charcoal suit, white shirt, eggplant tie, white/light blue pocket square, brown oxfords. A bit more casual: checked jacket, light blue OCBD, striped grenadine tie, brown pocket square, brown fullbrogues. To determine your ideal belt length, just measure a well-fitting belt from the tip of the buckle to the middle hole (usually the third of five). Shibumi leather belts are manufactured in a small family-run workshop in the heart of Bologna, Italy. Leather crafts have a long-standing tradition in this region, enabling these small workshops to survive despite highly industrialized competition. The uncompromising quality and flexibility in terms of design and styling is what makes this manufacturer a perfect match for Shibumi. Related links to "Boxcalf Leather Belt - Brown"